Sometimes the best days are the ones spent with family on the beach. My own parents weren’t the beach/swimming type of people so for the longest time I would dream of the day when I would bring my own kid to the beach to watch him or her splash around in the water and build sand castles while I lazily lounged around reading a trashy magazine. 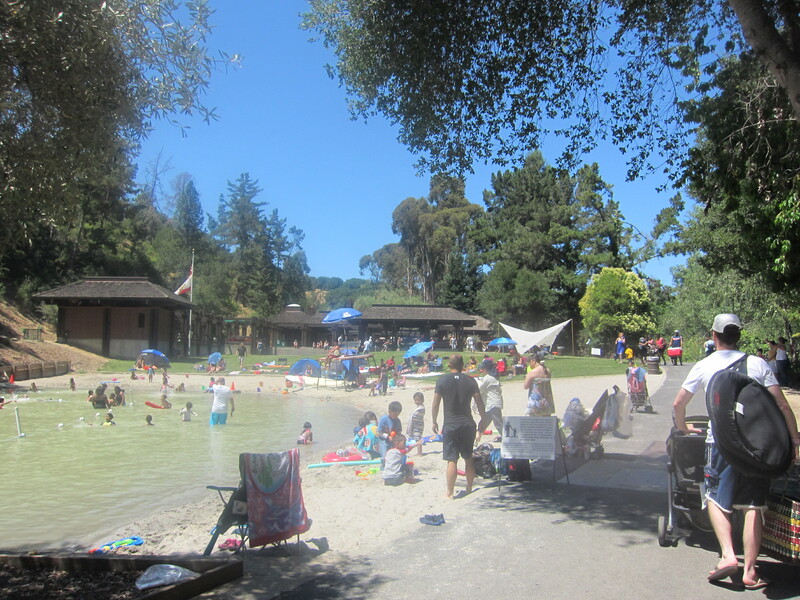 Over the Fourth of July weekend we took my little buddy, who is now almost 10 months old, to Cull Canyon right in our own city in the Bay Area. 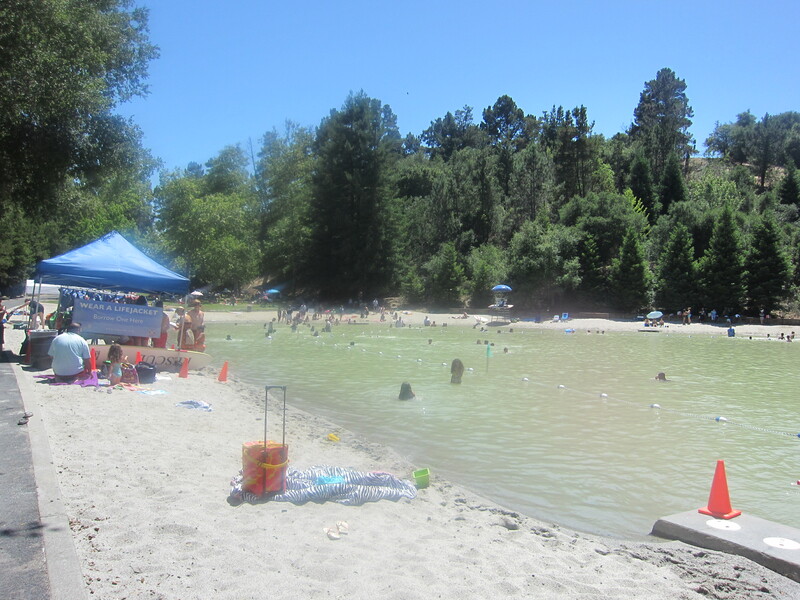 Cull Canyon is a great park with picnic grounds, hiking trails, bbq pits and a swimming lake. It’s great for little kids because they rope off the shallow ends and have lifeguards on duty. 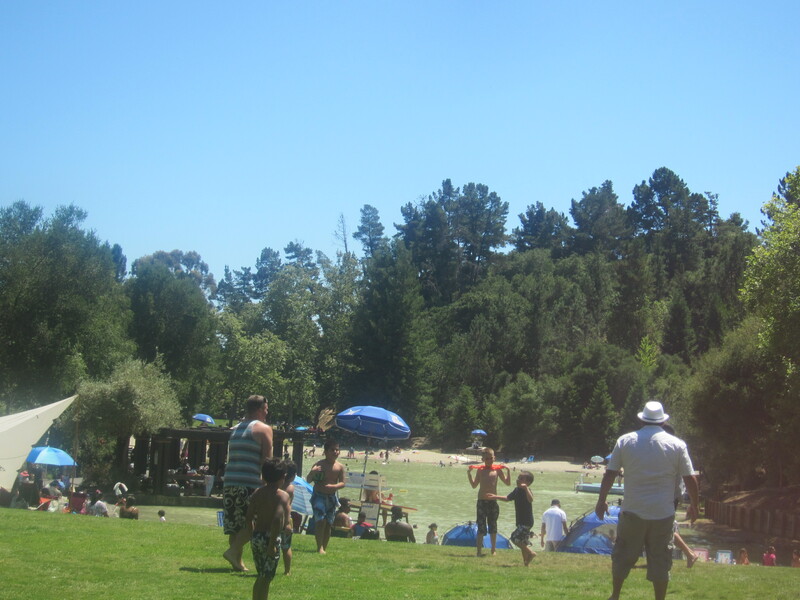 Capacity is sometimes reached on a very hot day on the weekend and people will have to wait for others to leave before their let in the lake area. Entrance is just a few dollars, there are clean and spacious changing areas and even some vending machines selling drinks and snacks. The only hiccup we had was neglecting to bring extra swim diapers for the little man. And of course he went number two only 30 minutes after we got there! So into a regular diaper he went and out of the water. Hopefully, when we go to Hawaii in September, we’ll have the whole baby at the beach thing pat!